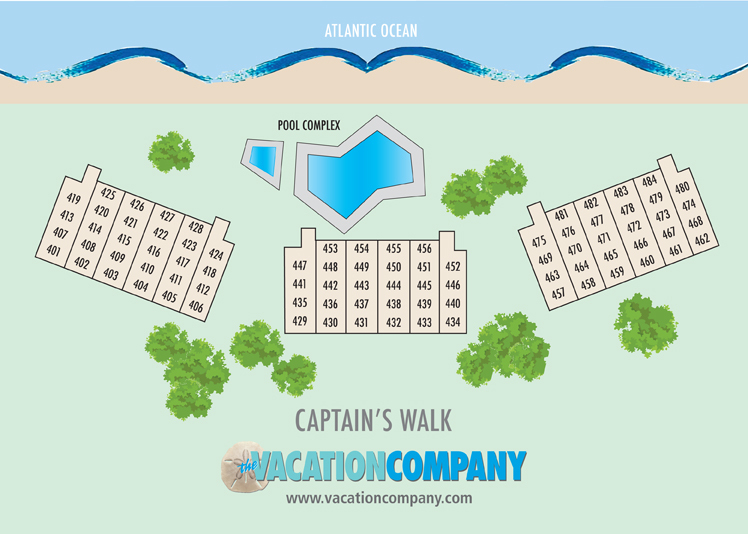 Enjoy a fabulous vacation in Captain’s Walk, located in Palmetto Dunes! This incredible top floor 2 bedroom, 2 bath oceanfront villa has an open floor plan with tile flooring throughout the kitchen, dining, and living areas. 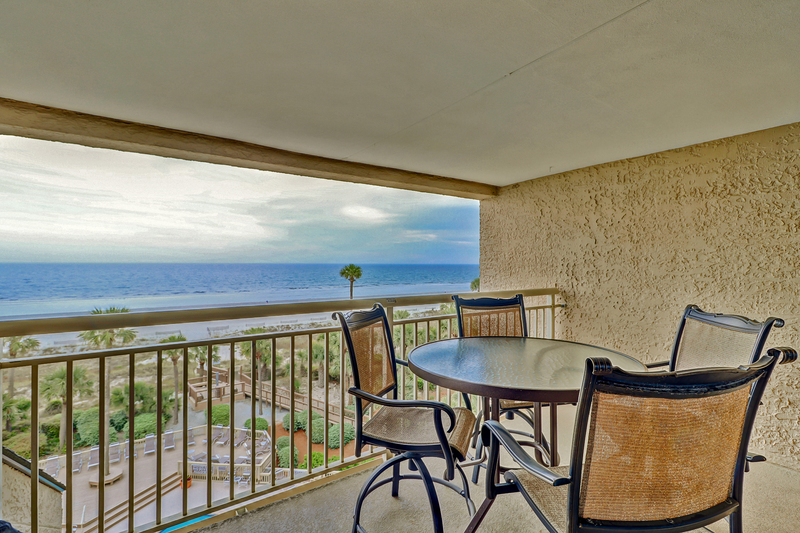 The living space and patio offer phenomenal ocean views. The patio is the perfect spot to enjoy a cup of coffee in the morning and a cocktail in the evening, sitting on the new patio furniture! The kitchen is bright and offers 3 seats at the convenient breakfast bar. The glass top dining table has additional seating for 6. The living room contains plenty of comfortable furniture, including a queen sleeper sofa and a wall mounted TV. The covered patio can be accessed off the living room or the master bedroom. The king master bedroom has fantastic ocean views and a large TV. The en-suite private bathroom contains an updated vanity and a tub/shower combination. The guest bedroom has one queen bed and one twin bed. This bedroom shares access to the full bathroom with the hall. 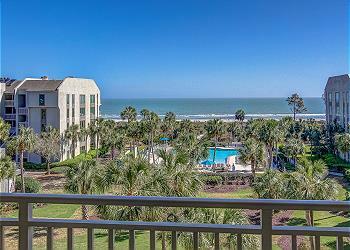 The oceanfront pool and the lush grounds make this is a perfect place to make wonderful vacation memories!